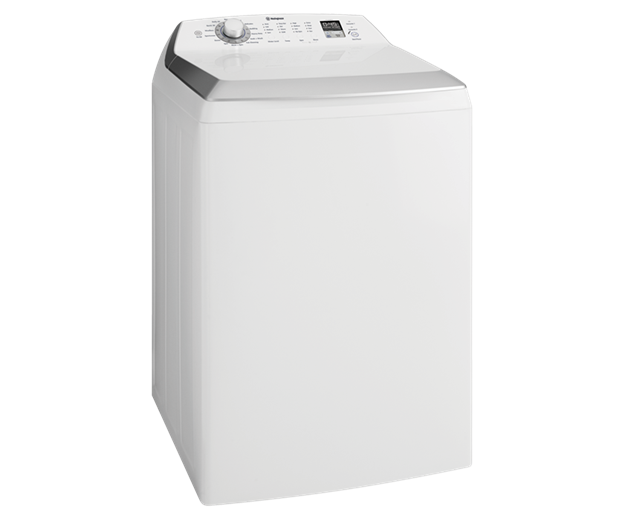 10kg Top Load Washing Machine is rated 3.5 out of 5 by 10. 670W x 680D x 1076H(mm) ? 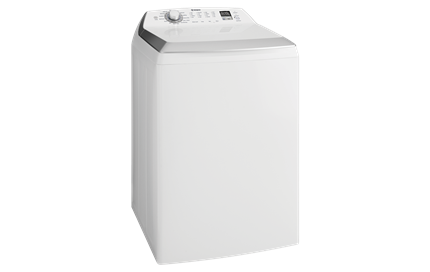 Westinghouse 10kg top load washing machine with ActiveMix detergent pre-mixing technology, 4.5 Energy Star rating, Inverter motor, Time Adjust function and everyday fast wash programs. ActiveMix technology pre-mixes water and detergent, in a separate chamber, into a powerful solution before the beginning of the wash cycle to get the most out of the detergent. This also minimises residue on your clothes when the wash is finished, ensuring a brighter, better clean every time. Let us help you stay organised. With Time Adjust, you can increase or reduce the total wash times to fit into your life. Plus, when used with the clever Delay End function, you can even decide when you want it to end. Now that's convenient! Sometimes you just need to get a few things clean fast and that's where the super Quick 20 minute program comes in handy. The Daily 45 minute program is ideal of your regular loads. Rated 4 out of 5 by Laraine from We bought this machine about 3 months ago, on the first day we had to have the soft closing lid latch replace, awesome repair man David. We have a large family so a big machine is a must, clothes come out clean if not a little crushed. Machine started off really quite now I’ve notice some vibrations when the machine is at high spin, might be from over loading or feet not level. Really please with the different options on washes. Currently using Reflect powder and is getting clothes clean, I don’t like the soap draw, a bit tricky getting the powder in. I would recommend this machine to others. Rated 4 out of 5 by Yoshi from Great!! Bought today second load in the machine as we speak first load on the line. Really good spin clothes quite dry but not crushed the person who said you cannot open the lid once you start is wrong you just push the start/pause button. Its quiet, has lots of cycle options, easy to use, seems really good looks nice as well. Rated 2 out of 5 by Shelley from terrible trouble with lint all over clothes Wish I hadn't bought this to be honest. I spend hours removing lint from clothing and no matter how many times I run an empty wash load I can't get rid of lint. Have also had trouble with clothes having residue on them. Have adjusted detergent quantities and brands without success. This is an expensive washer so I would expect more. I can't find any information on lint problem and there doesn't appear to be a lint catcher anywhere that I can find. If anyone knows write me a review. Rated 4 out of 5 by may w from Great, my mum so happy Good choice, my mum is so happy with new washing machine. Rated 2 out of 5 by Minanz from Unreliable wash quality We replaced our old machine with this model and have been very disappointed. I have had major issues get washing liquid residue off clothing and blankets. After trying different amounts of liquid, clothing and cycles I am over this machine. I can't use fabric softener and I have to wash each item twice. Had issues from day 1. Rated 2 out of 5 by J123 from Not satisfied I bought it 2 months ago. Overall the machine is not satisfied. Once the machine starts, the lid is locked, you cannot add extra clothes. Even you turn off the machine, the lid is still locked. You have to switch off the electricity, then can open the lid.